What is it about self-control that makes it so difficult to rely on? Self-control is a skill we all possess (honest); yet we tend to give ourselves little credit for it. Self-control is so fleeting for most that when Martin Seligman and his colleagues at the University of Pennsylvania surveyed two million people and asked them to rank order their strengths in 24 different skills, self-control ended up in the very bottom slot (for the record, self-control is a key component of emotional intelligence). When it comes to self-control, it is so easy to focus on our failures that our successes tend to pale in comparison. And why shouldn’t they? 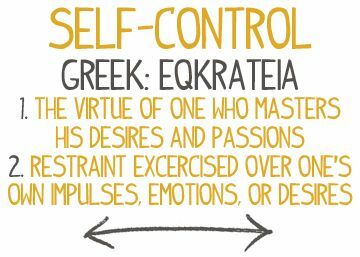 Self-control is an effort that’s intended to help achieve a goal. Failing to control yourself is just that—a failure. If you’re trying to avoid digging into that bag of chips after dinner because you want to lose a few pounds and you succeed Monday and Tuesday nights only to succumb to temptation on Wednesday by eating four servings’ worth of the empty calories, your failure outweighs your success. You’ve taken two steps forward and four steps back. With this success/failure dichotomy in mind, I give you six strategies for self-control that come straight from new research conducted at Florida State University. Some are obvious, others counter intuitive, but all will help you eliminate those pesky failures and ensure your efforts to boost your willpower are successful enough to keep you headed in the right direction for achieving your goals. Meditation actually trains your brain to become a self-control machine (and it improves your emotional intelligence). Even simple techniques like mindfulness, which involves taking as little as five minutes a day to focus on nothing more than your breathing and your senses, improves your self-awareness and your brain’s ability to resist destructive impulses. Buddhist monks appear calm and in control for a reason. File this one in the counter intuitive category, especially if you’re having trouble controlling your eating. Your brain burns heavily into your stores of glucose when attempting to exert self-control. If your blood sugar is low, you are far more likely to succumb to destructive impulses. Sugary foods spike your sugar levels quickly and leave you drained and vulnerable shortly thereafter. Eating something that provides a slow burn for your body, such as whole grain rice or meat, will give you a longer window of self-control. So, if you’re having trouble keeping yourself out of the company candy bin when you’re hungry, make sure you eat something else if you want to have a fighting chance. When you are tired, your brain cells’ ability to absorb glucose is highly diminished. As I explained in Secret #1, your brain’s ability to control impulses is nil without glucose. What’s worse, without enough sleep you are more likely to crave sugary snacks to compensate for low glucose levels. So, if you’re trying to exert self-control over your eating, getting a good night’s sleep—every night—is one of the best moves you can make. The important thing to remember is you have to give these strategies the opportunity to work. This means recognizing the moments where you are struggling with self-control and, rather than giving in to impulse, taking a look at the Six Secrets and giving them a go before you give in. It takes time to increase your emotional intelligence, but the new habits you form with effort can last a lifetime.